Looking for Something on the different side this should do it. 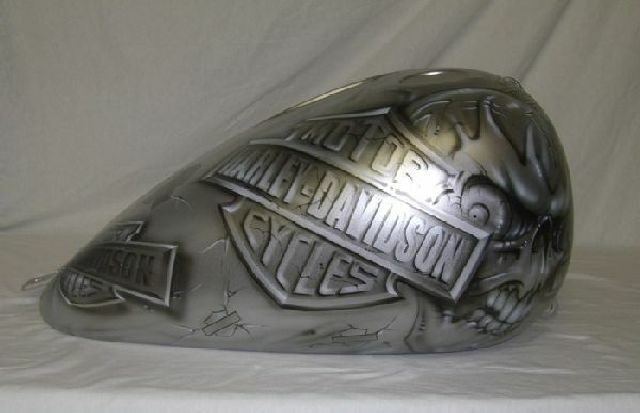 This design is a collaboration of Skulls and H-D Bar and Shield logos. 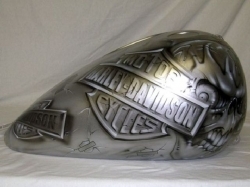 All the Skulls are free hand airbrushed by our talented artist, along with some bar and shields distorted and stretched to add character, this set is sure to set you apart from the rest. Although this particular design is on silver there are many choices of base color to put this design on. Cut back on the skulls or on the logos. Give or take we can personalize this design to meet your needs.